Dust Control Technology®'s dust suppression rings can be engineered for unique applications and equipment. The technology can create a curtain of mist around a specific area for outstanding containment of fugitive dust or odor. Dust control rings can be customized for specific requirements, such as discharge chutes. Customizable shapes and sizes give bulk handlers more options in dust and odor suppression. 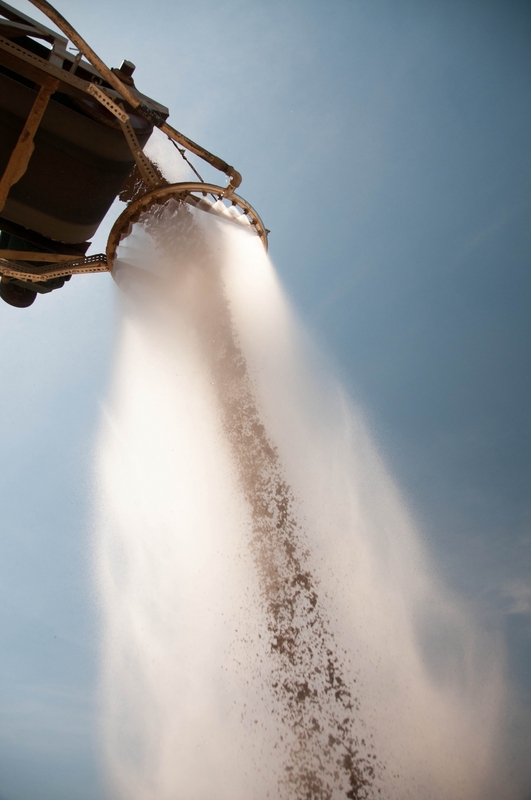 Dust Control Technology® has introduced a technology that allows the delivery of atomized mist solutions in customizable shapes and sizes, giving manufacturers and bulk handlers virtually unlimited options in dust and odor suppression. Dust Control Technology® (DCT) is complementing its existing line of stationary dust suppression rings with the ability to produce geometric shapes, bars or other configurations, customized to the needs of the specific application. Each design is specially-engineered for the application and equipment of the individual customer for superior dust management. The new technology can create a virtually unlimited array of shapes and sizes, including the DustBoss® DB-R ring, which creates a curtain of mist around the cargo stream or specified area for outstanding containment of fugitive dust or odor. The customized solution offers high-volume applications such as radial stackers, crushers and screeners more focused and reliable suppression, taking the technology beyond perforated hoses and basic spray nozzles. The company has also developed the ability to supply custom spray bars and shapes under the DustBoss® DB-B family of spray bar products. Customers can request a virtual site assessment to determine the optimum size and shape of a customized ring, working with experienced personnel to design a tailored system. The assessment includes such details as material properties and volume, width / length / speed of conveyors, pulley diameter and slope. DCT can also produce customized shapes from customer drawings, depending on the size, geometry and complexity. The objective in atomized mist technology for dust suppression is to induce as many collisions as possible between the dust particles and the droplets, causing an agglomeration effect that weighs down the solid particles and drives them to the ground. As airborne dust particles and water droplets approach each other, the best chance for a collision is created when they are roughly the same size, avoiding a slipstream effect that can carry them past one another. The force of the slipstream is relative to the size and speed of the droplet. When smaller airborne particles encounter a large droplet, they can get caught in the slipstream, causing them to move around the droplet rather than being absorbed by it. Because atomized mist technology creates similar-sized droplets that are able to travel with dust particles on natural air currents, the chances of collision and absorption are increased, allowing the collective weight to drive particles to the ground. At the core of the technology, water is pumped into a stainless steel manifold and atomized by a series of specially designed nozzles that fracture the water into a cascading mist. The water can be supplied by standard municipal sources or a hydrant, feeding a hose sized for the application and connected directly to male pipe threads on the manifold. To avoid premature clogging of misting nozzles, facilities that draw from non-potable water sources can employ additional filtration systems. Engineers at DCT have created custom systems for a variety of different industries, from aggregate to recycling to coal. With the launch of the customization program, the company is equipped to engineer systems of nearly any size and configuration. The company has positioned itself as a complete solutions provider for dust and odor control, able to deliver a level of customer service that is difficult to match from suppliers that provide a broad range of equipment. By specializing in atomized mist technology for dust and odor control, DCT has built a reputation for outstanding customer service and industrial-strength equipment designs that address even the largest and most difficult applications. 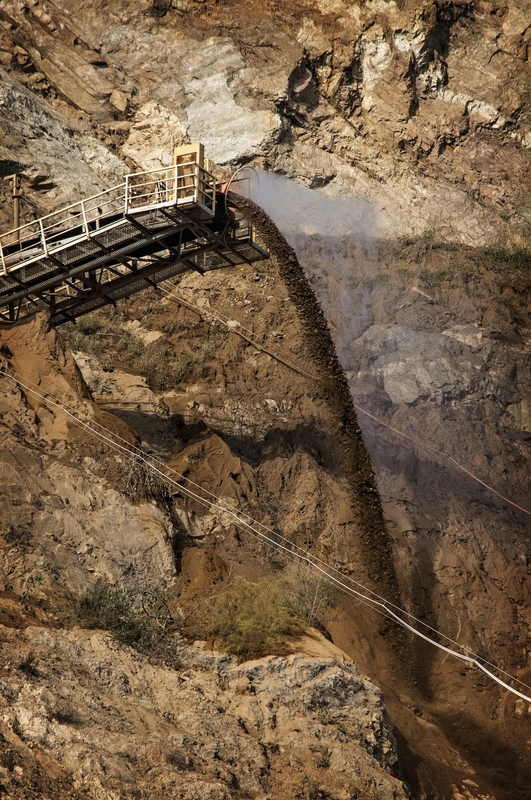 Dust Control Technology is a global player in dust and odor control solutions for coal, demolition, slag handling, landfills, recycling and many other applications. The company designs and manufactures customized equipment utilizing atomized mist technology for dust suppression and odor management. All of the firm’s R&D, experience and expertise is centered completely around those applications, and its staff helps customers analyze particle sizes, working environments and other factors to ensure effective performance under real-world conditions. The units are far more effective and efficient than manual spraying, with some customers realizing payback in less than six months. DCT equipment can be purchased outright or rented from an extensive fleet.